Judea and Samaria Communities Council head Danny Dayan writes this week in a op-ed for the NYT that a 2-state “solution” is no solution. 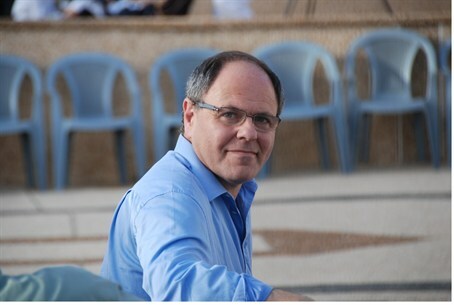 Judea and Samaria Communities Council (Yesha Council) head Danny Dayan writes this week in a op-ed for the New York Times that a two-state “solution” is no solution at all. The article was published simultaneously in the European edition of the New York Times, the Herald Tribune and on the home page of the online edition of the New York Times. In his piece, Dayan reminded readers that the region, where Jews had once lived, was captured by Israel in a defensive war against Arab nations who had attempted to annihilate the Jewish State entirely. "A Palestinian state between Israel and Jordan is a recipe for disaster,” he warned. “The influx of hundreds of thousands of Palestinian refugees from Syria, Lebanon, Jordan and other places may make a new country a hotbed of extremism. Any peace agreement will collapse as soon as Hamas assumes power, either through the force of elections, or by force of arms. Israel will have to regain control of the area, and you'll find an Arab population larger than that which lives there today,” he warned. About ten percent of all Israeli citizens today live in Judea, Samaria and those parts of Jerusalem that were wrested from Jordanian occupation and restored to the capital in the Six Day War, Dayan noted. Settlements in Judea and Samaria are not part of the problem, he concluded – they are part of the solution.